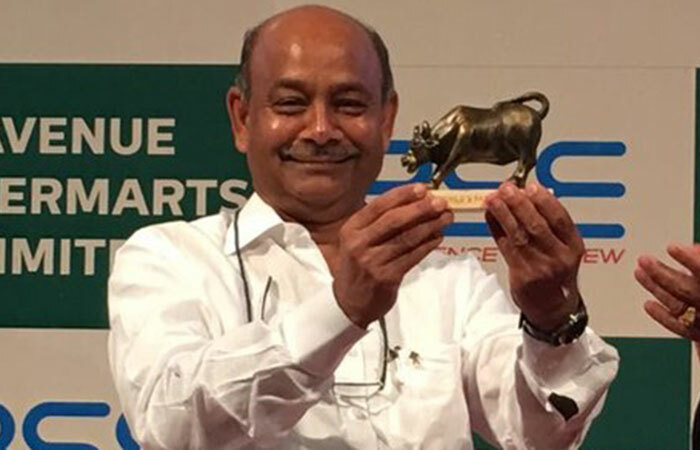 Radha Kishan Damani is a Mumbai based billionaire investor and businessman. The veteran investor Rakesh Jhunjhunwala considers RK Damani as his guru (mentor). RK Damani is also the owner of mega-retail stores D-Mart. According to Forbes, he’s the 12th richest person in India, with a net worth of over $10 Billion, which is equivalent to over Rs 64,000 Crores. RK Damani does not consider himself as a highly educated person. He dropped out of college while pursuing B Com from the University of Mumbai. Before entering the stock market, RK Damani had a small ‘ball-bearing’ business. However, after the death of his father, he started working as a stockbroker in his family business. He was 32 at that time. Although RK Damani started his career as a stockbroker, he soon understood that if he wants to make real money from the market, then he needed to trade his own money in the market, instead of being just a broker. And soon he started trading in the Indian stock market. RK Damani made a lot of profits from his trading in stocks. He was a very flexible trader and believed in making profits using the different market swings. For example, during the Harshad Mehta scam, he made a lot of money by ‘Short-selling’ the stocks, which was not common at that time. Learn more about short-selling here. However, after getting influenced by value investor Chandrakant Sampat, RK Damini changed his approach. He shifted to long-term value investing. RK Damani made a lot of money by investing and holding multi-baggers stocks. Few best-performing stocks from his portfolio are VST Industries, Sundaram Finance, Indian Cement and Blue Dart. Mr. Damani invested in VST Industries at an average of Rs 85 and it is currently trading at Rs 3,400. Further, India cement gave a return of +115%. Few other companies in his portfolio are Century textiles, Trent, VB Holdings, 3M India, TV Today Network, Jubilant foodworks etc. RK Damani has been very interested in consumer retails for a long time. That’s why he opened D-mart in 2002. Nevertheless, being a value investor, this was a very planned move by him. 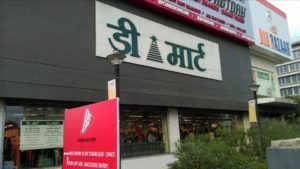 As of 2017, D-Mart has over 140 stores spread across Maharashtra, Andhra Pradesh, Telangana, Gujarat, Madhya Pradesh, Chhattisgarh, Rajasthan, National Capital Region, Tamil Nadu, Karnataka, Daman and Diu and Punjab. In March 2017, D-Mart went public by offering its IPO, under the name of the parent company- ‘Avenue Supermarts’. The IPO was a big hit. Avenue supermart offered its shares to the public at a price of Rs 299 and got listed at Rs 604 after over-subscription. Currently, the shares of Avenue Supermarts are trading at Rs 1185. RK Damani considers himself as both a trader and an Investor. He trades in market swing and invests when he’s getting long-term value. Further, Mr. Damani lives a very simple life. He is also known as ‘Mr. White and White’ because most of the times he wears a white shirt and white trousers. Moreover, he avoids media and public gatherings. Salute for ur employement dedication towards the nation.